Barren walls turn into into majestic home theaters with this LED projector, which conjures a picture that’s adjustable from 60” to 100”. 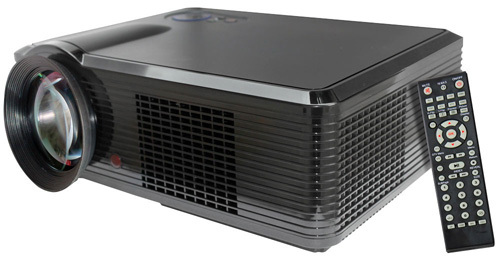 Compatible with cable boxes, game systems, and Blu-ray players, the projector is capable of screening entertainment of all kinds. This Pyle projector supports both 720p and 1080p HD inputs, both of which elevate visuals to another level. Visuals will pop with vibrant colors and a level of contrast that highlights the most compelling of details, such as a ripple in the sea or the patch of stubble George Clooney missed when shaving. When a projector isn’t set perpendicular to a wall or screen, the picture can take on a distracting trapezoidal shape that may distort the visuals. An adjustable keystone helps correct this by projecting your picture at a degree that helps maintain the desired angles, thus preserving the dimensions of the picture. An HDMI port connects high-definition components such as a Blu-ray player, cable box, or Roku Streaming Stick directly to your projector. 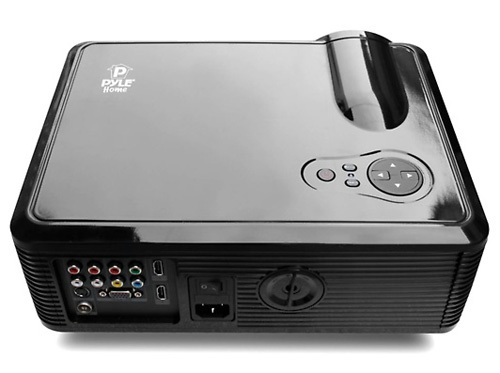 The addition of a VGA port and cable allows the projector to function as a display for your computer.